The Blue Demons needed this one. 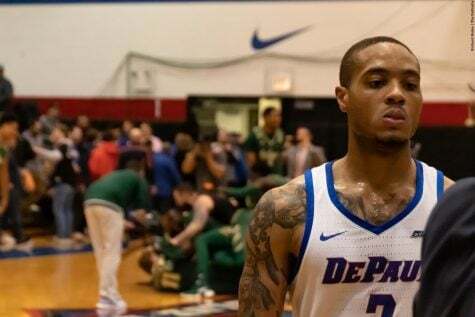 DePaul men’s basketball snapped a three-game losing streak Monday with an 82-78 victory over Norfolk State in the last day of the Paradise Jam tournament in the U.S. Virgin Islands. 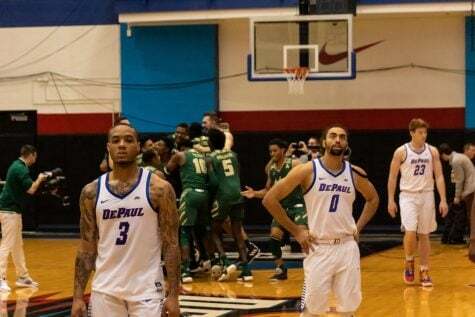 But before that, DePaul (2-3) was in major jeopardy of dropping an embarrassing loss to Norfolk State (1-4) thanks to a porous defense from the three-point line. The Spartans went on a barrage from beyond the arc, shooting 10-of-14 from deep in the second half while destroying a 14-point DePaul lead in the process. It was a conflicting performance from the Blue Demons. 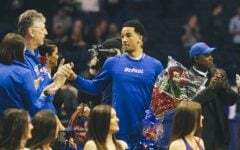 On one hand, it appeared the energy missing from the previous two games was back and DePaul got contributions from its best players. 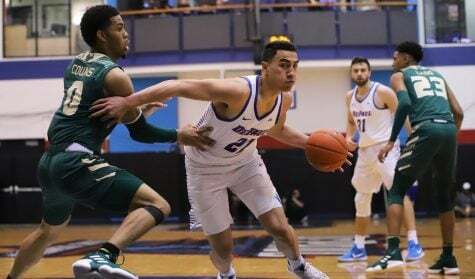 Guard Billy Garrett Jr. led the Blue Demons with 22 points and seven assists. 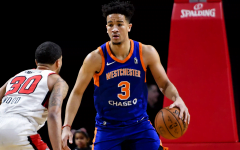 Garrett was aggressive, breaking the zone defense and got to the free throw line on a consistent basis, finishing 8-for-11 from the line. 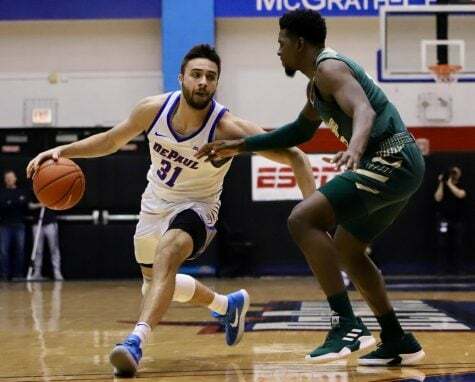 Garrett also created much needed separation late when he drilled a 3-pointer from 10-feet beyond the line to give DePaul a 79-76 lead with 1:09 remaining. Tommy Hamilton answered back as well. 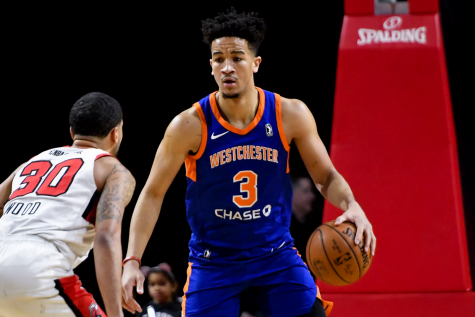 A game after being benched against Florida State, Hamilton returned for 20 points and five rebounds, including a perfect 8-for-8 from the field and 2-of-2 from deep. The junior forward took advantage of Norfolk State’s much smaller size and was able to position himself in the post. 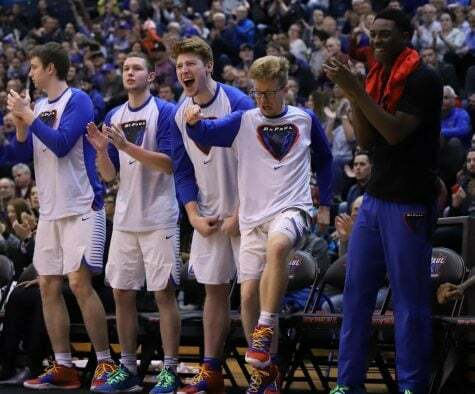 The Blue Demons fed off their own energy and led by 14 with 10:51 left. 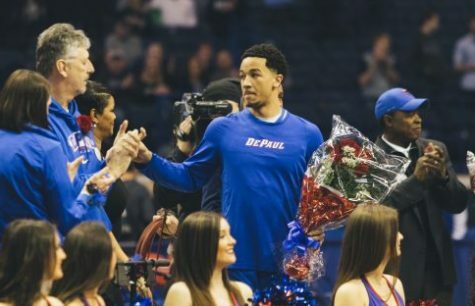 But as soon as it appeared that DePaul would have its first commanding win of the season, the Blue Demons’ ugly problems started to pop up once again. DePaul look hapless as Norfolk State answered back immediately with a 9-0 run in just over a minute. Norfolk State guard Charles Oliver, in particular, felt like he couldn’t be stopped — finishing the game with 20 points and making six 3-pointers. Norfolk State guard D’Shon Taylor led his team with 23 points. 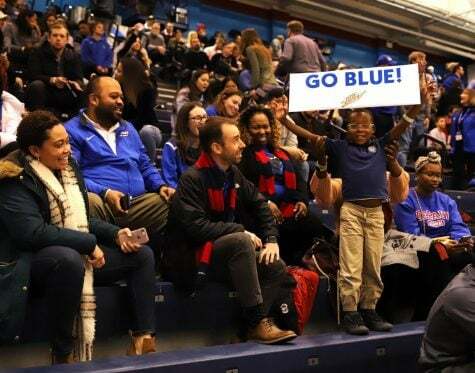 The Spartans clawed their way back in the game and DePaul went large stretches without answering. 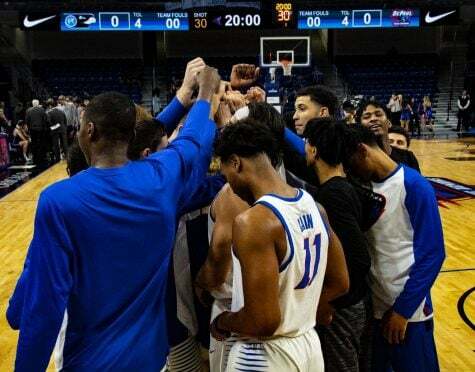 They were hampered by foul trouble with forwards Myke Henry and Rashaun Stimage each ending the game with four fouls. Norfolk State even had a chance to tie the game with 17 seconds remaining until Henry made a crucial block and stuffed guard Zaynah Robinson. 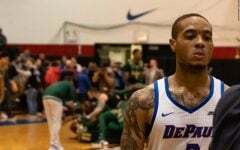 DePaul shot 59 percent and out-rebounded Norfolk State 30-27. Guard Aaron Simpson helped seal the game late, going 3-of-4 from the line in the final seconds. 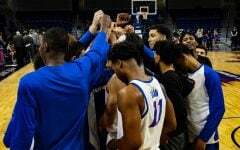 The Blue Demons placed seventh at the Paradise Jam tournament in the U.S. Virgin Islands, where they have been since Thursday. During the trip, they dropped games to South Carolina and Florida State. 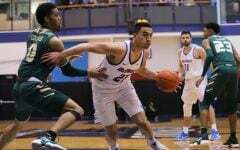 DePaul now has a break until Dec. 2, where they return to face the University of Illinois at Chicago at 7 p.m. at the UIC Pavilion.